0 Comments Published by Jane on Saturday, January 09, 2010 at 3:08 PM. 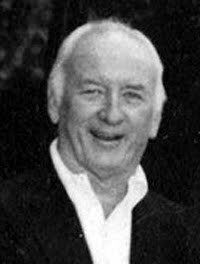 Edwin L. Thompson, long time resident of Briarcliff Manor, passed away peacefully at home surrounded by his immediate family on December 30th. Edwin, who was known to all his family and friends as Ted, was born in NYC and grew up in Larchmont, NY, the son of Leslie E. Thompson of NYC and Agnes McDonough Thompson of Worcester, Mass. He is survived by his loving wife of 22 yrs, Helen Murtha Thompson, his brother Leslie E. and his wife Dee Thompson of Cottonwood Az. ; his son Robert L. Thompson of Medford, Mass, daughter Rosemary Thompson of Deposit, NY, Step-son Thomas K. Murtha of Bellmore, NY and grandson Michael J. Katen of Deposit, NY. His loving family includes numerous nieces, nephews, sisters and brothers-in-law. Ted was pre-deceased by brothers John L. Thompson of Cohasset, Mass., Bill Thompson of New Rochelle, NY. and first wife Martha Hughes Thompson. Ted attended Iona Prep in New Rochelle and Cranwell Prep in Mass. He then joined the US Army and served as a corporal in the Pacific in the 624th Field Artillery unit. After Military Service he graduated from Holy Cross College in Worchester, Mass. His career in the Supermarket industry included Personnel manager for A& P food stores and Director of Labor Relations with Gristede's Supermarkets, negotiating multiple contracts during his years of service. As a retiree Ted worked as a sales representative in the Real Estate Industry for Rae Molinelli and HoulihanLawrence in Briarcliff. Ted was a loyal member of St. Theresa's parish in Briarcliff, serving as an usher in his early years. He enjoyed many rounds of golf with friends and family as a member of Pleasantville Golf Club and then Highlands Golf Club. He was an enthusiastic Yankee fan and will be remembered as a man of good cheer with a winning smile. Thank you to Patty Quattrochio for sending this notice to me. My condolences to Ted's family and friends.